Hi everyone, its Tuesday again and time for another challenge over at the Everybody Art Challenge. 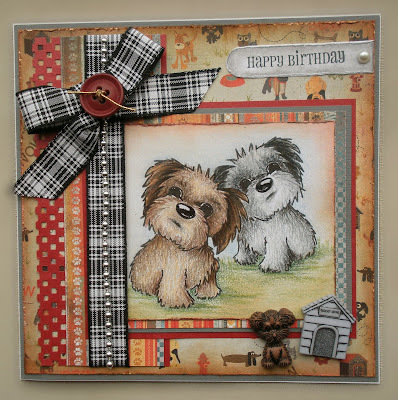 This weeks theme is "My Favourite Things" As you can see from my card my favourite things are animals, Basic Grey papers and ribbon. 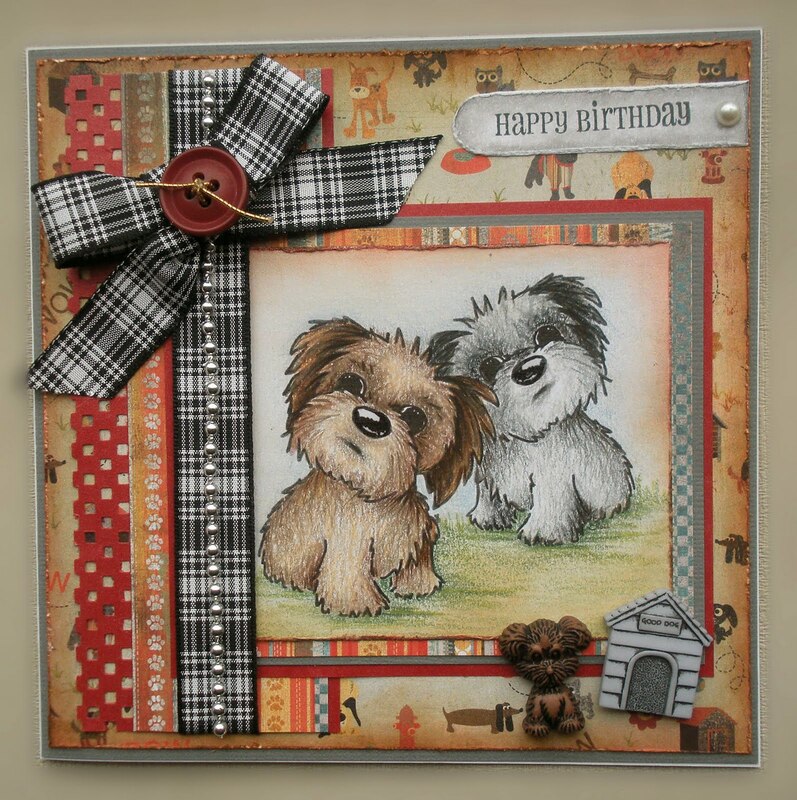 Adorable sweet card Jenny and love the sweet puppies. Wow, it´s such a gorgeous card. I love these puppies. They are so cute!! Oh Jenny this is so very gorgeous! Asses this card is so so sweet. I love it, thanks for playing along at fussy and fancy.